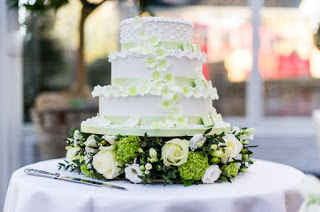 Fi and Matt's stunning spring time green and white wedding - Joanna Carter Wedding Flowers | Oxford, Oxfordshire, Berkshire, Buckinghamshire and London. 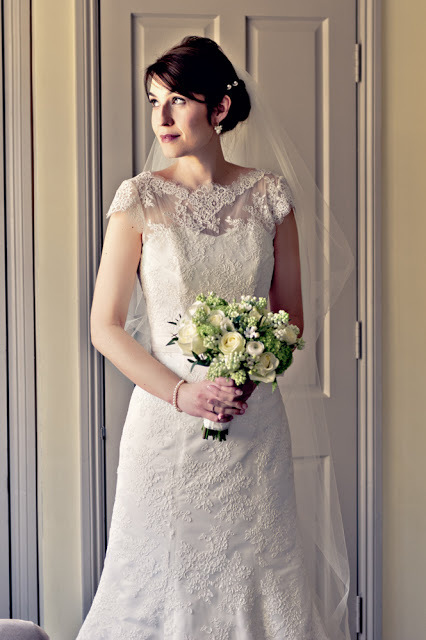 When I delivered the bridal work it was a wonderful surprise to see Kate Hopewell Smith who is an amazing photographer who I have worked with on lots of photo shoots and weddings before. 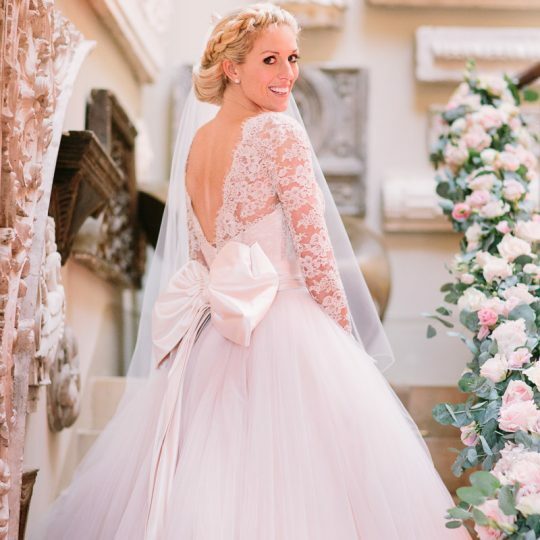 Kate has an amazing ability to compose shots, optimising the architecture around her and capturing the emotion in the people she is photographing. Her photographs are amazing! 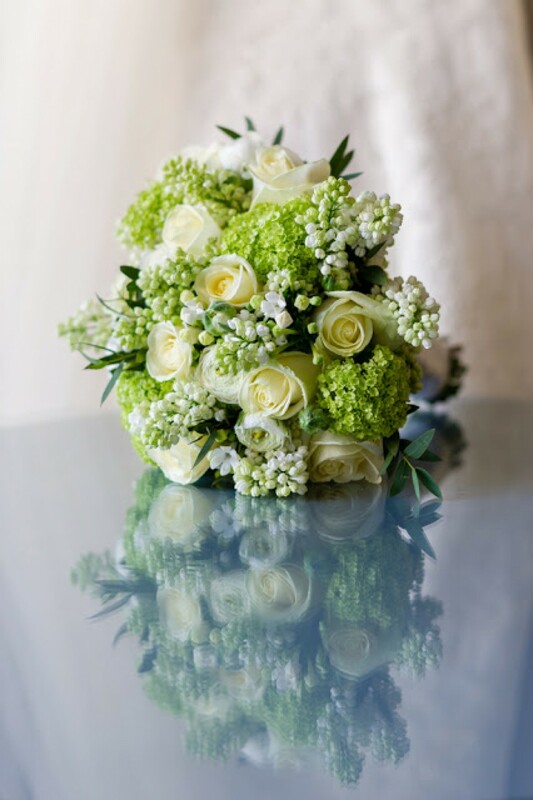 Fi chose a palette of gorgeous ivory, white and soft spring green with roses, white lilac, bouvardia, lisianthus and foliage. 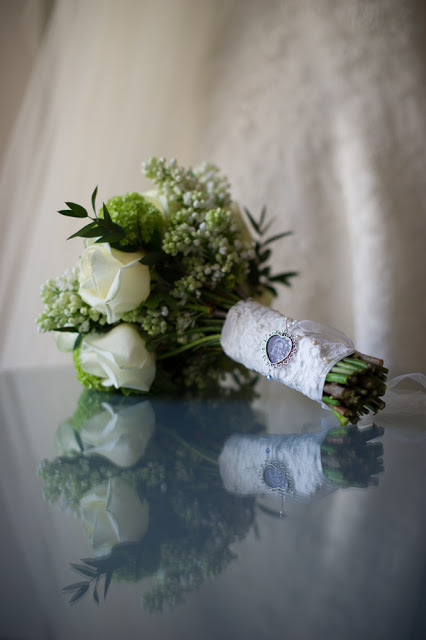 A small strip of lace from Fi’s beautiful dress was used to cover the stems of her bouquet. 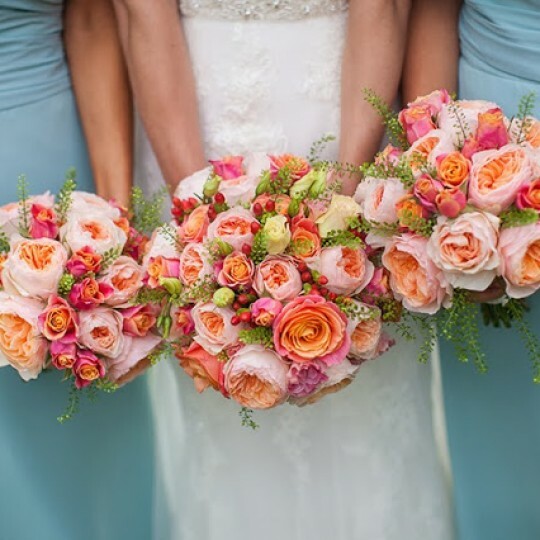 Fi then placed a much treasured photograph in a tiny frame on the stem of the bouquet. A corsage of roses, ranunculus and lisianthus buds for Fi’s Mum. 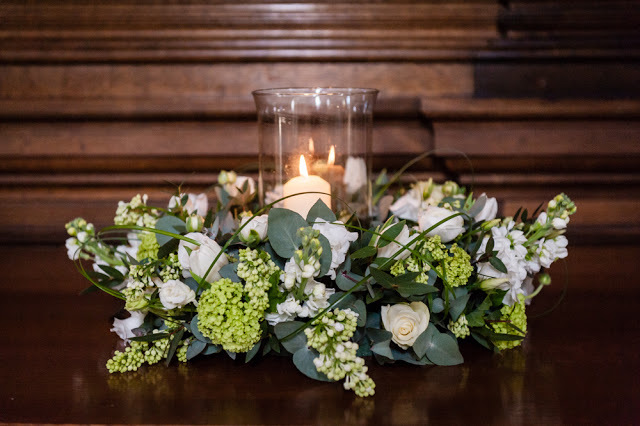 At the entrance to the college chapel we placed storm lanterns with large church candles and a ring of flowers and foliage. The effect was so pretty and very subtle. Fi’s lovely bridesmaids carried bouquets that were a smaller version of her bouquet and wore lovely wraparound dresses with coordinating fur jackets. 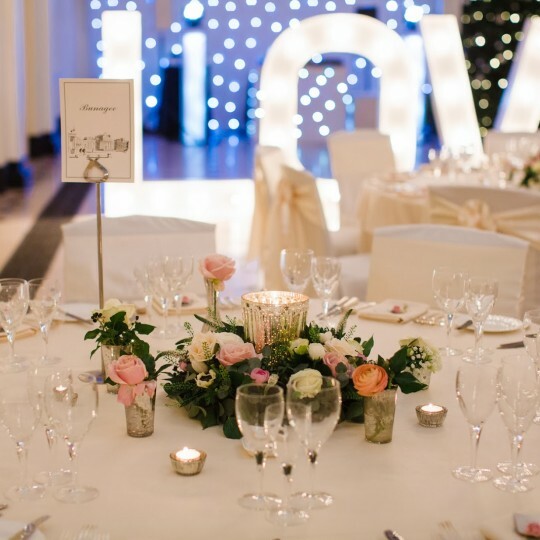 Once the ceremony was over the wedding moved on to Gee’s restaurant which had a lovely conservatory where the wedding breakfast took place. 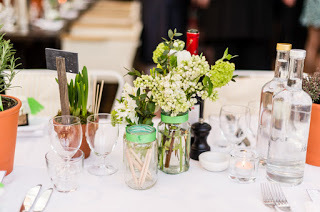 We placed a mix of jam jars full of flowers and italian herbs on the tables which gave a lovely informal feel to the tables which had been named after characters from the Star Wars films! 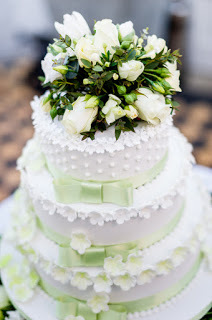 The lovely wedding cake was made by Fi’s Mum, Lyndsay and it was stunning. She definitely has potential to be a professional! We made a small dome of flowers for the top of the cake and a large wreath of flowers for the base.